Copyright babyurbeautiful 2013. Powered by Blogger. Helping you glow through pregnancy and motherhood - even if your baby has other ideas! HOT MUMMAS I What Tipple? We all know we need to kick the caffeine and ditch the booze when we're pregnant, but seriously, what the hell do you drink? There's only so much water we can drink, and when we're out for dinner it's pretty depressing. 20 weeks into the boring drinking journey, here's my suggestions. In all my pregnancies I have gone off tea and coffee pretty much immediately. It's recommended we cut back on our caffeine intake during pregnancy, so this wasn't exactly difficult when it pretty much made me to want to vom. I'll admit I had a skinny vanilla latte from Costa at the weekend, and it was delicious. Tea has had a major overhaul in the last few years and most supermarkets now have a massive range to choose from! 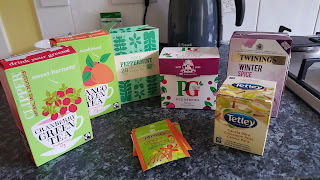 PG Tips have joined the tea bandwagon and have recently bought out some really nice fruit teas which are caffeine free and don't have added sugar. Twinings also have a really nice selection. Most people bring back souvenirs or perfume and booze back from holiday. Not me, I bought back two boxes of Tetley Cinammon and Pear teabags from Portugal the other week. They are sooooo nice, but nowhere sells them in the UK. They are Christmas in a cup! Clipper do a nice range of green teas, I especially like their mint green tea. Green tea contains caffeine and I have read mixed things about green tea in pregnancy so have been generally avoiding it. I'll be sure to get back on it next year in my mission to get back in shape! Peppermint tea is also naturally caffeine tea and I find it helps with bloating and heartburn and all supermarkets tend to do their own brand of it, so cheap too. Bottle Green do a nice range of cordials. They are pretty high in sugar so I only have these as an occasional treat.... realise I sound like an anti-caffeine, anti-sugar crazy woman. They're nice with lemonade or sparking water. All good supermarkets stock their range. Waitrose seems to have a particularly good range. Lime and soda has become my new pub drink. It has to have tonnes of ice and not too much lime! Apple juice has been my morning sickness saviour, it must be the sugar, but I've always found it helps in the morning. Innocent and Copella do lovely cloudy apple juice and these are often on offer in the supermarket. Sometimes you really crave a bit of a more grown up drink, especially over a meal. Shloer is pretty nice, and even better, you can pretend you're drinking wine...ok ok I know it's fizzy grape juice but drinking it out of a wine glass somehow makes a change. I tried some no alcohol white wine a few weeks back, my verdict, it's sh*t! 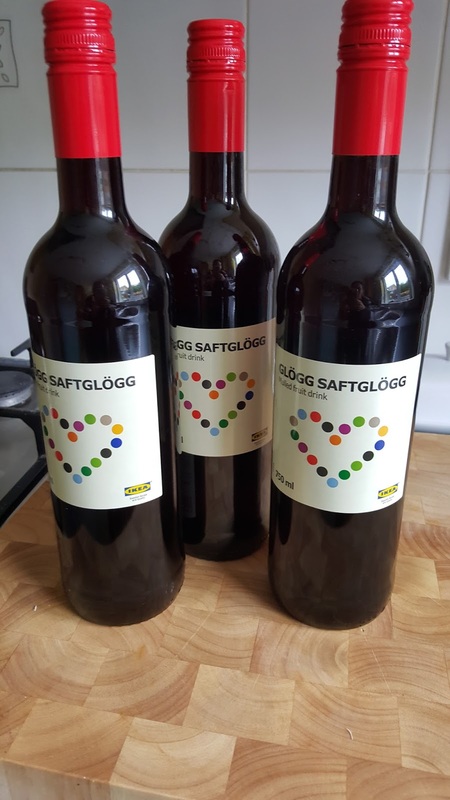 One of my favourite things about Christmas is mulled wine, and I was determined to find a booze free one. 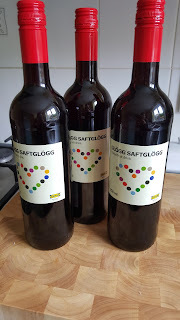 I scoured Tesco the other day with no success, but Mr J went to Ikea and came up trumps. At £1.85 a bottle it's got to worth a try. I'm resisting opening until 1st December, the same as the panettone that has been looking at me for weeks! I'll be sure to have a mug of this when we put the tree up in a few weeks time. babyurbeautiful.com is a blog which we hope will help Mums and Mums-to-be to feel beautiful again despite the inevitable physical and mental changes that pregnancy and motherhood entail. Readers should note that the authors of Babyurbeautiful are not qualified medical professionals and are giving our opinions based on our own experiences. Please check with your own healthcare professional when using new products during pregnancy or breastfeeding. All opinions are our own and we will try to highlight any sponsored or paid posts. We accept press samples and some links are affiliate links. Copyright babyurbeautiful. All Rights Reserved.